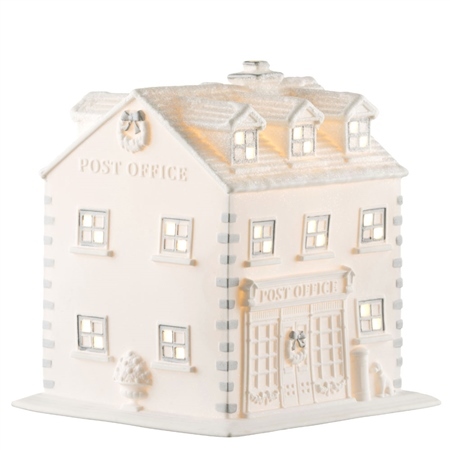 Belleek Living have introduced this Post Office Luminaire to their Village Collection. This Luminaire is based upon a traditional Irish Post Office that has closed for the holidays. Each window has a pierced effect allowing the light to shine through. It is the perfect Christmas light to brighten up a dark corner. 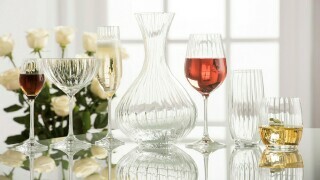 Bought this along with the church, they compliment each other beautifully. Hope they do more next year. 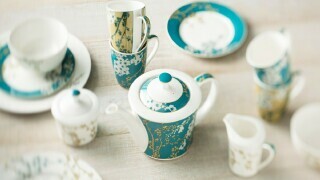 Ordered in the sale. Arrived well packed. It’s amazing so beautiful. 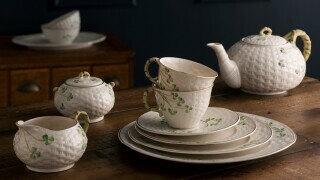 It will go well with my Belleek Church. Highly recommend this. It’s magical.